John Hardy Classic Chain Wave Dangle Necklace, 36"
John HardyClassic Chain Wave Dangle Necklace, 36"
John Hardy wave necklace from the Classic Chain Collection. 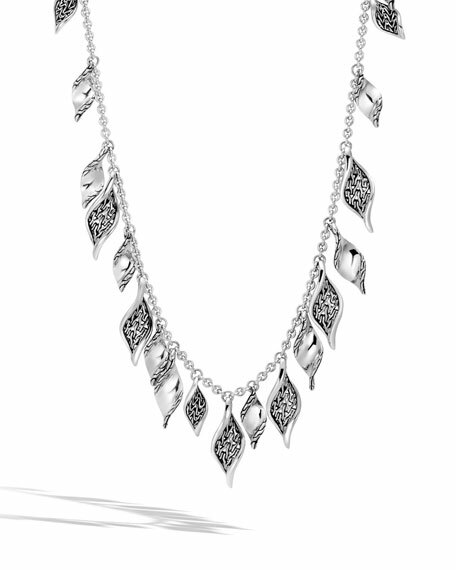 Polished sterling silver chain, hardware and wave dangles. Multi-size wave dangles with woven chain motif. For in-store inquiries, use sku #2450142.